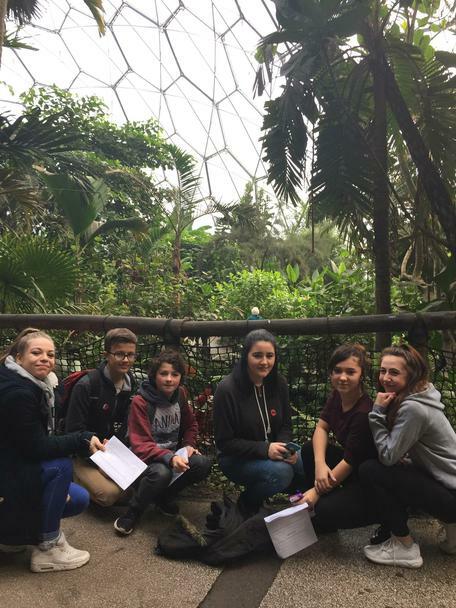 Just before the end of last term, Year 10 again had the opportunity to visit the Eden Project for the day. The day started off with a talk about the origins of the organisation, and its mission to raise awareness about environmental issues and the importance of plants in our ecosystems. After orientation the teams split up to explore the Mediterranean and Tropical biomes, learning some valuable Biology along the way. There was some great teamwork amongst many of the students, as the treasure hunt task they had been given was challenging, but they were not put off. Thanks go to all staff involved for ensuring all pupils engaged with the task and for guiding them to find the information they needed. The pupils were rewarded at the end of the day with an ice skating session, which was enjoyed by all who took part. It was great to see so many pupils who started by clinging onto the wall skating hands-free by the end of the session! I was really impressed by all those pupils who had never ice skated before having a go and showing their willingness to go outside their comfort zones. Year 10 displayed excellent behaviour, both throughout the day at Eden, and on the buses. We look forward to going again next year. Thank you to Mrs Godwin for organising the trip and all the Science staff and staff/TAs who accompanied them.